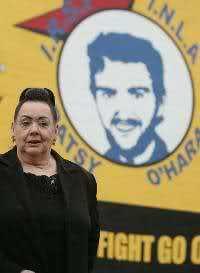 Peggy O’Hara, mother of Derry hunger striker Patsy O’Hara has passed away aged 88. Mrs O’Hara’s son Patsy, a member of the INLA was amongst ten republican prisoners who died in Long Kesh on hunger strike in 1981. He died after 61 days. Mrs O’Hara contested the Northern Ireland Assembly elections aged 76 in 2007. At that time she was quoted as saying she would stand after Sinn Fein announced in that year they would hold a special Ard Fheis on policing in the north. Mrs O’Hara said she would put her name forward for the elections in memory of her son. ““Patsy would have been against this,” she said. “I was there for years and years when Patsy got lifted and was taken out in his bare feet by the police. “A lot of people, including young people, have the same opinion as me. “No-one has come to me and asked me what I think of the policing debate. “I am standing in memory of Patsy if the elections take place,” she told the Irish News in 2007. The O’Hara family hailed from the Bishop Street area of Derry. Patsy O’Hara was interned in Long Kesh in 1974 and joined the INLA upon his release in 1975. He was subsequently arrested in Derry later that same year and held on remand for six months and for a further period of four months in 1976. In May 1978, he was arrested in Dublin but was released hours later. He returned to Derry in 1979 and was arrested and later convicted of posession of a hand grenade and recieved an eight year jail term. At the beginning of the first hunger strike in 1980 he was officer commanding INLA prisoners in Long Kesh. He joined the 1981 hunger strike on March 22, 1981. Former INLA volunteer Tony O’Hara, whose brother Patsy was the fourth republican to die in the 1981 hunger strike, yesterday said that during the Troubles “not one life was worth it”. The 57-year-old, who spent five years in prison for INLA activities, said “nothing will be achieved by the current republican [dissident] campaign apart from filling up jails”. “They [dissidents] need to realise that,” he added. “Even years ago when I was involved I had difficulty about taking life. But then it seemed a necessary part of the war. “If they continue it is a waste of their time and only inflicts hardship on a community that is already under terrible hardship from the economy and everything else. The former blanketman, who was the cell mate of the first republican prisoner to die on hunger strike, Bobby Sands, added that “all those lives were lost and it wasn’t worth it”. He added that “nothing will be achieved [by dissident republicans] by fighting on apart from misery”. “Nothing can be achieved for the next 20 years, if they keep going, apart from more people going into jails. “There is no difference between what the Provos were fighting for and what they [dissidents] are fighting for. “But the big difference is the lack of support from the community. It is not there any more. If you look back in the history of Sinn Fein from 1975/76 you see headlines like ‘Smash Stormont’. “Now years later the same members are in government there. 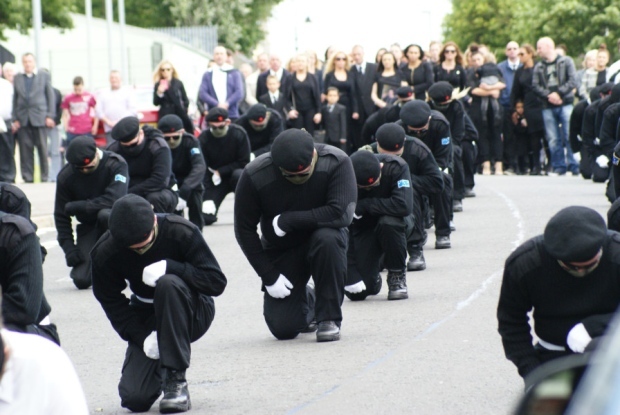 They [Sinn Fein] keep on using the word dissidents, but the Provos were the largest dissident group going. “They left the IRA. For them to use the word dissidents when they themselves were dissidents is laughable. Mr O’Hara said that is why he did not use the term. The Derry man, who joined the INLA in 1975 when the IRA went on a temporary four-month ceasefire, added he “never had any hope for the Haass talks”. Tony O’Hara is the sixth former senior republican and blanketman to speak to the News Letter calling for dissidents to examine the history of the Troubles and rethink their campaign. 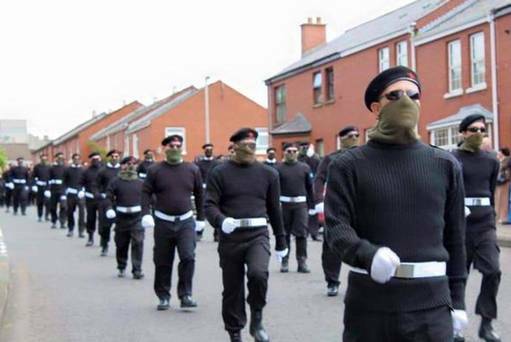 In recent weeks former senior Provisional IRA man Tommy Gorman said “a group of us have been making this point about dissidents for a long, long time”. Earlier, former hunger striker Gerard Hodgins asked dissident republicans to “try and come up with a non-violent alternative because there is no appetite or support for a violent conflict in this country among any significant number of the population”. Former Provo Tommy McKearney said he believed dissident republican violence was bolstering Sinn Fein support. And in the first of the series former senior IRA men Anthony McIntyre and Richard O’Rawe branded the ongoing dissident campaign as “madness” and called for them to stop. This page was loaded Apr 22nd 2019, 10:55 pm GMT.